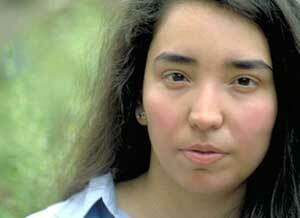 Pianist/Composer Angelica Sanchez was born in Phoenix, Arizona in 1972. She began playing piano at age 13. From 1990-1994 she studied piano and composition at Arizona State University. Sanchez moved to New York in 1995. In June 2000 Angelica was invited to teach improvisation and composition at the Banff Centre for the Arts (Canada). Sanchez leads her own quartet featuring Tony Malaby, Drew Gress, and Tom Rainey. Since moving to New York Sanchez has played with: Susie Ibarra, Joe Lovano, Tim Berne, Mark Dresser, Drew Gress, Ed Schuller, Judy Silvano, Chris Speed, Dave Ballou, Jim Black, Reggie Nicholson, George Schuller, Jeff Williams, Daniel Carter, Mike Sarin, Tony Moreno, Scott McLemore, Ben Monder and many others. Sanchez is involved with free jazz that has structure, if that isn't too much of a contradiction; it has a loose, cantankerous energy, but it's given shape by some smart writing. She's brought a big imagination with her from the Southwest, and the open-ended approach of her pianistics accounts for the sprawling terrain around which she grew up. There's something literally unique about her piano lingo. It's defined by an attempt to throw a lasso around a massive piece of keyboard history. And when it's at its most eloquent, you'll be impressed. Her style encompasses the harmonic delicacy of a Herbie Hancock with the occasional flashes of the percussive attack of a Cecil Taylor. The 28-year-old Arizona native is definitely one to watch.